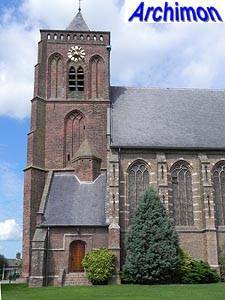 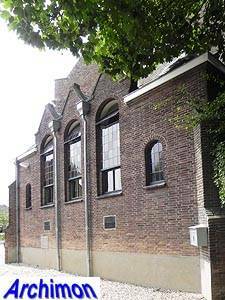 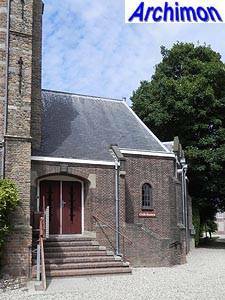 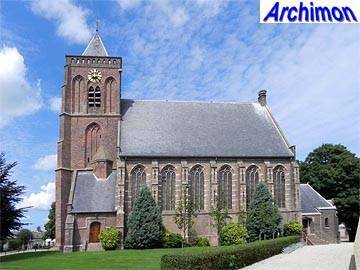 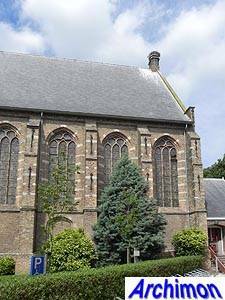 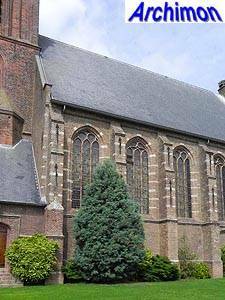 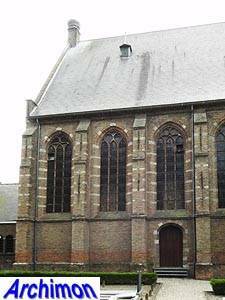 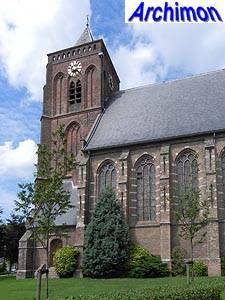 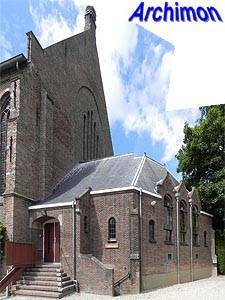 Very little information has been published about the church of Leerbroek. 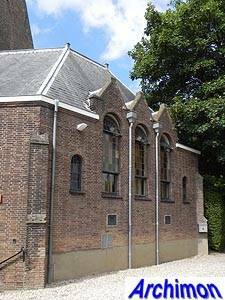 It was probably founded in ca. 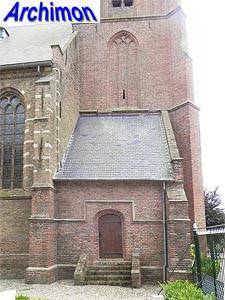 1300, but of the first church nothing remains. 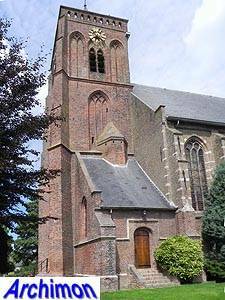 The oldest part is probaby the brick tower, built in Gothic style in the early part of the 15th century. 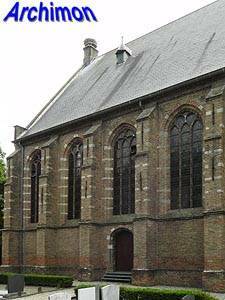 The late-Gothic nave is built of different sizes of bricks. 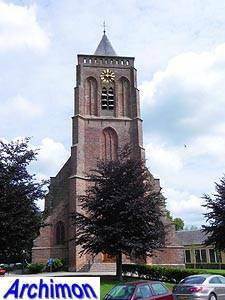 For the lower parts a bigger, red-coloured type of brick was used. 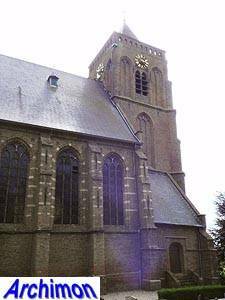 Possibly these parts are older than the tower, perhaps from the 14th century, and were maintained when the nave was rebuilt in the first half of the 16th century. 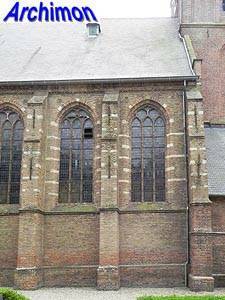 For the upper parts of the nave, the area around the windows, a smaller yellow-red coloured brick was used, decorated with lines of natural stone in the buttresses and around the windows. 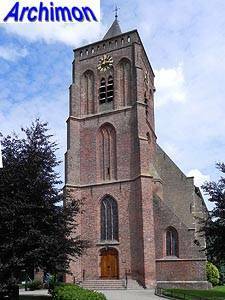 The church became protestant during the Reformation and the choir was probably demolished in the 18th century. 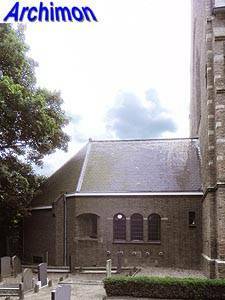 After a fire destroyed the church in 1935, only the walls remained. 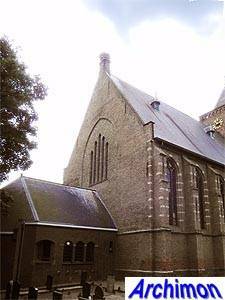 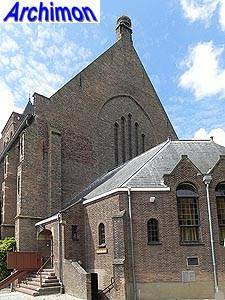 In 1936 the church was restored by architect A. van Essen, who also designed the consistory added to the back of the church.